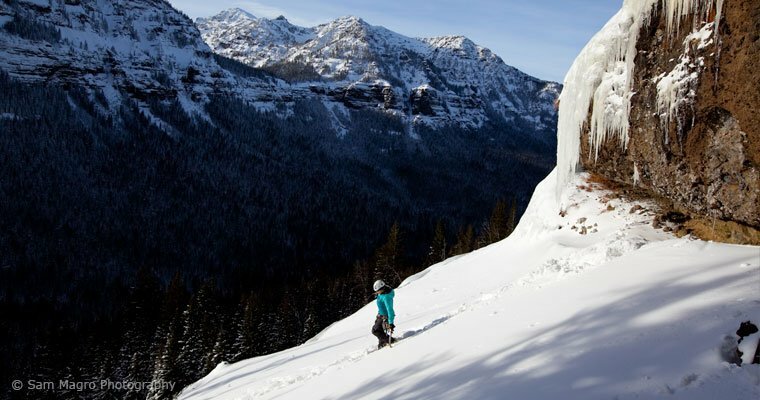 This 9-hour Introduction to Avalanche Course is designed specifically for those traveling by foot (not with skis or snowmobiles) in avalanche terrain. The field-course will focus specifically to ice climbers, the class room session will also apply to hunters, snowshoers, etc. Our course content follows guidelines outlined by The American Avalanche Association with emphasis and additional focus to ice climbers. In the field we will focus on making safe decisions on the fly in terrain and situations encountered by ice climbers where risks may be small isolated snow pockets in cliffy terrain or terrain thousands of feet above our climbing objectives.